Welcome to the Official FarmVille: Tropic Escape "Add Me: Tropic Hosts" Thread! This thread is designed to help you find new friends. Please read the posting rules below before sharing your information. Any posts in violation of the Rules of Conduct or any inappropriate posts will be removed. Please post only once per thread. Multiple posting or sending of requests through private messages will result in infraction. For your privacy, do not post email addresses, contact numbers, Player IDs, or other personal information. 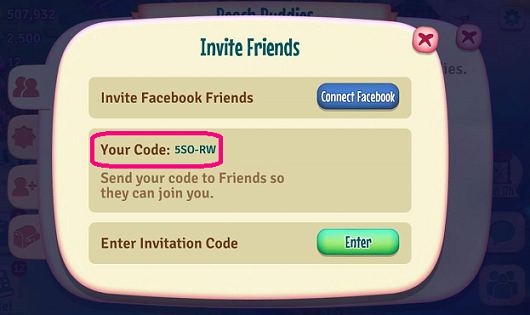 Please be sure to include your Facebook Profile Link and Invite Code on your post, or include them on your Forum Signature. 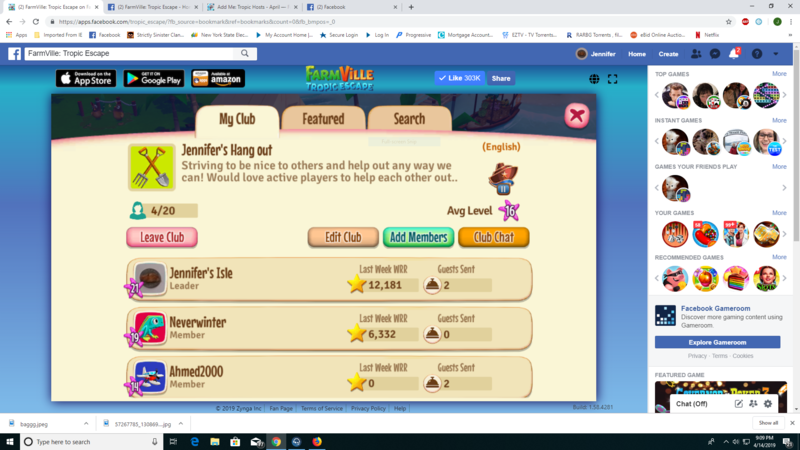 I am in need of friendly helpers for cruise and sharing things.. i cant seem to get more people to join...The add button isnt working, gives me an error. Hi I’m new and only on level 17. I don’t seem to be able to join a club because of my level. Any suggestions?